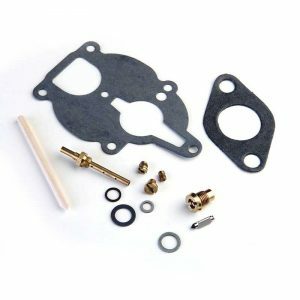 These kits replace the eight (8) 5/16” bolts in the water jacket side plate with stainless studs. 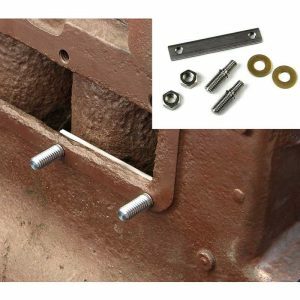 Because the nuts on the outside of the side plate apply a tension load against the plate in a straight line pull, these studs provide a bit more strength than bolts, particularly when the threads in the side of the engine block become somewhat compromised by corrosion and wear. The straight line pull of studs is also much friendlier to the threads in the block than the rotational twisting load applied by bolts. 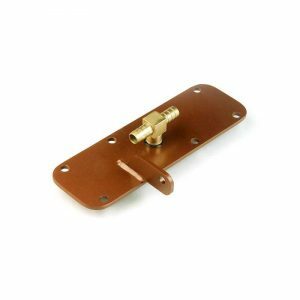 The use of studs also makes locating and sealing the gasket and side plate over the mounting holes much easier than the use of bolts. Brass nuts & washers, Allen wrench and Loctite included.